A man from Georgia in the US is facing up to 10 years in jail after pleading guilty to importing and distributing counterfeit car parts. Drexel Benton, 71, of Thomasville, sold the counterfeits – which included branded tires, rims, and wheel centre caps that contravened Chevrolet, Cadillac, GMC, Dodge and Ford trademarks – out of a bricks-and-mortar business called EZ Dealin and via online retail platform eBay. US Customs and Border Protection (CBP) officers conducted three separate legal seizures of parcels from China to EZ Dealin between November 2016 and April 2017, discovering hundreds of parts with GMC, Chevrolet and Cadillac emblems. Test purchasing by Ford and GMC revealed similar counterfeits were available for Ford, GMC and Chevrolet components on Benton’s eBay store front, where Benton was listed as a tire and rim “power seller” with a 20,000 square foot warehouse selling replica car parts and 7,000 positive feedbacks. 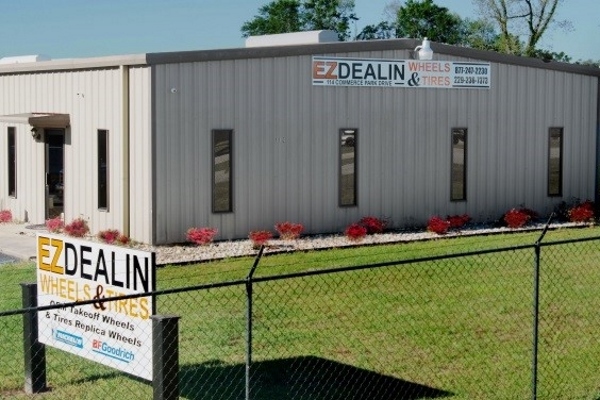 An undercover operation at EZ Dealin’s premises in February 2017 revealed a much smaller warehouse than advertised, an estimated 24 feet long by 24 feet wide, filled to a quarter of its capacity with numerous brand wheels and tires. Financial analysis of subpoenaed PayPal information indicates that Benton conducted approximately $590,553.32 in transactions in a four-month period in 2017, and during that time transferred around $688,000 from PayPal into his private bank account. A sentencing date has not yet been set, but the charge Benton is facing carries a maximum sentence of 10 years imprisonment, a $2m maximum fine and up to three years’ supervised release.